As part of its continuing study, “Internet and American Life Project,” today, the Pew Research Center published an update to its reporting on the use of Twitter in the United States. The update detailed that roughly 13 percent of American adults connected to the internet are Twitter users. The report’s findings reveal an 8 percent increase in usage within the last six months. Starting April 26 and ending in May 22, 2011, the Pew Research Center called Americans to ask, in both English and Spanish, about their internet use. The last time the survey was conducted was in November 2010. This previous polling revealed that only 8 percent of “online adults identified themselves as Twitter users.” Two other important numbers obtained: 95 percent of Americans on Twitter own a cell phone and 54 percent use the handheld device to tweet. Giving the numbers more perspective and contouring, the Center determined that African Americans and Latinos were the demographical groups most likely to be engaged with the micro-blogging service. 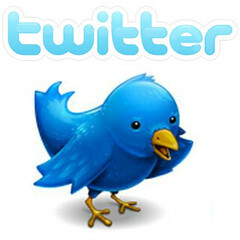 Of African Americans online today, 25 percent of them use Twitter; for Latinos the number is 11 percent. Other groups are also showing growth on Twitter: 25- to 34-year-olds have doubled their representation, going from 9 percent in November 2010 to 19 percent last month; by their turn, 35- to 44-year-olds have seen their numbers jump to 14 percent from their previous 8 percent showing.